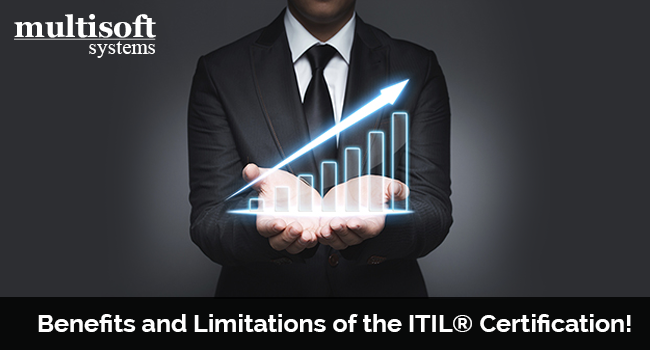 Benefits and Limitations of the ITIL® Certification! ITIL® improves productivity and makes IT more responsive to any business. Small and large IT organizations are continuing to expand ITIL® initiatives at a fast pace. It is a scalable framework that brings tangible benefits across a wide variety of sectors. ITIL® Training will teach you skills that will be applicable to countless career opportunities. ITIL® certifications will surely help you in maximizing your career and earning potential. Before deciding if ITIL® is the right career path for you, find out the numerous benefits and limitations of getting an ITIL® certification. ITIL® training is one of the trainings that make you better in your field. You will get a better idea on how to do things by learning ITIL® principles. It will help you become more efficient at your job, making you desirable and valuable in any organization. You will be able to perform better, get more opportunities and stay calm. A credential like ITIL® recognizes your skills and knowledge of the respective subject, justifying that you deserve more money for your contribution to the company. It will also come in handy while applying for new jobs to get a better starting salary. Once you complete the ITIL® training and get certified, you will start getting noticed by companies that value this certification. There are many companies that use these credentials to narrow down the applicant pool, and ITIL® certification will make you stand out. With ITIL® training, you will understand the importance of IT service and infrastructure in a business and get a bigger picture. Therefore, it will make you an indispensable employee who is capable of making valuable contribution to the organization. If you want to clear the ITIL® certification exam in one go, you may want to invest in your training. Nonetheless, Multisoft Systems provides great quality training programs at reasonable remuneration. You can also opt for self-study but interactive trainings are more effective in clearing doubts regarding the subject. ITIL® certification is not an easy credential to get, and that makes it invaluable in the market. It will need your time and dedication for the preparation of the exam. If you are a working professional, you may have time constraints. 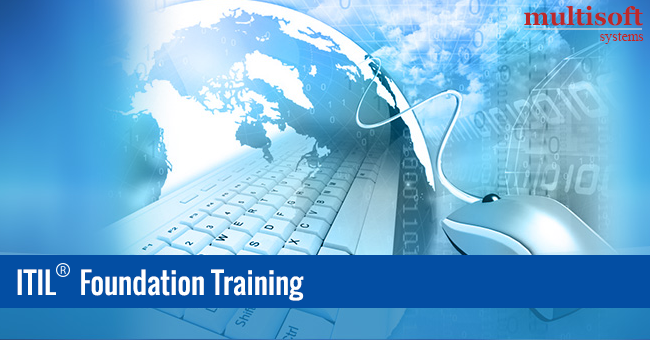 Choose a training organization that provides customized courses as per your learning needs. You can clearly see that the list of benefits is longer than that of the limitations. It is up to you to decide if your future is worth your time and a little amount of money. If you are on a lookout for an affiliated training organization, Multisoft Systems offers all the ITIL® certification trainings, including ITIL® Foundation Training, ITIL® Intermediate Training, ITIL® 4 Foundation Training, etc. About the author: Nisha Negi is a Technical Content Writer at Multisoft Systems. She writes blog posts and articles on various technical subjects. She is an experienced IT professional, and bears immense knowledge of the latest technology. She stays current with all the ongoing and upcoming certifications. Her way of expression is contemporary and crisp.